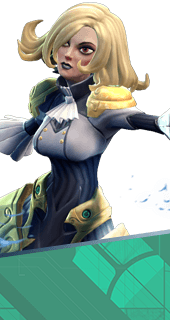 Aggressive Advance is an Augment for the Hero Phoebe in Battleborn. Exiting Phasegate grants increased movement speed for a short time. +30% Movement Speed for 4 Seconds. You cannot have both this augment and Preparation. It's either one or the other.